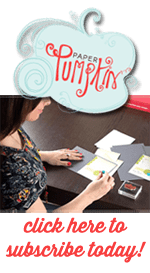 I am so excited that Registration started this week for the next Stampin Up OnStage event in November. Of course I registered as soon as it opened at 8:00 am my time. I’ve heard that several locations have already sold out. Eeek! I love these events and look forward to them tremendously. It’s been fun seeing which online friends have registered. Thinking about friendships reminds me of flowers. Friendships need tending and care and love and they will flourish just like a flower. I have friends from all over the Country that I have met at various events through the years. It’s kind of amazing that through the one thing you know you have in common (love of stamping), you find you have so much more in common. It’s great being able to message them or text them whenever, but it’s even better seeing them in person. Today’s card uses the brand new Graceful Garden stamp set. The roses in this stamp set are so beautiful. This card is quick to put together. The pattern paper is cut on a diagonal and glued down. The black scallop washi tape is slipped just under the edge of the pattern paper so the scallops line up with the paper. The background is very lightly stamped with the trellis background. To achieve the very light look, I inked the stamp and then stamped off twice before stamping on the white card stock. I purposefully left open white spaces to keep the focus on the flowers. The roses are watercolored and hand cut out. Then I added a couple mini gold sequins to the center of each flower for a little sparkle. The easiest way to do this is to put a couple drops of the fine-tip glue onto the flower and then put each sequin in place. I love the friends that I have made through Stampin Up. It’s crazy that a couple stamps can lead to amazing friendships. If you want to make 3500 new best friends, you should sign up to be a Demonstrator and come with me to one of our events. They are amazing! Remember, friendships are like flowers… take care of them and they will bloom.